School admissions regulations are one of the larger sections of school website requirements. With regulations determined differently by the type of determined admissions in operation by each school. The requirements are more involved for schools where they determine their own admissions, but as always - think of your visitor, what they want and provide the best experience for them you can. Admissions are the entry point to your school, and prospective parents will almost certainly view them as they navigate your website. First of all, we should determine what the school admissions regulations require. The admission arrangement regulations differ depending on type of school. You can view the details of what's required in Section 2 - Admission Arrangements. 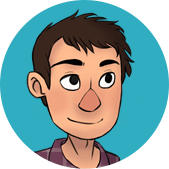 (This linked requirements page is always kept up to date, feel free to bookmark it for your convenience). The school admissions code which the requirements detail academies are to follow, apply to all admission authorities. Which includes maintained schools with governor determined admissions, as well as local authorities. The requirements listed for governor determined admissions are then applicable for academies and free schools to (as the school admissions code is used to govern both). The time that the admission arrangement information should be displayed on your site for is very important too. They should be listed on the website for the whole year the admissions are determined for. We always recommend you add as much useful information as possible. Try to make the process easy - regulations are there to be met, but you can do so much more, and with not a lot more work. Start the parental journey, with strong positive engagement. Conditions are getting more competitive, a DfE commissioned report released 9th Aug details some of the findings around admissions discovered by the additional data now available. While the report is largely focused on analysis of the decision making process for parents around admission arrangements, there are lots of other useful insights. For example oversubscription. This is something almost all schools with an Ofsted rating of good or outstanding are now dealing with in their own school admissions regulations. Oversubscription criteria that determines the process the school must follow in the case when more students apply than there are places for. This criteria must be clearly published. Accounting for different groups of students, and how students would be chosen in a tie break situation. Any changes to the admissions and oversubscription criteria must changed in advance of the admissions process, including an admissions consultation. The guidance specifically mentions that consultation information must be published on the website of the admission authority for the duration of the consultation period. The admission authority website is the school website if they are determining their own admissions. 28th Feb: The last day for admissions to confirm admissions in the determination year. 15th March: Admission arrangements must be determined by this date. And of course published on the school website. Read more in the schools admissions code. See more key dates for your school website. We'll use the example of a recent admission objection decision, published at the end of July. It related to objections from a group of 20 parents around the change to an academy changing their admission arrangements. Specifically around a secondary academy naming a local primary school as a feeder school in their admission arrangements. In the document the schools adjudicator explains the process taken to review the evidence in line with the school admissions regulations. Ultimately the decision was not upheld, the academy was determined to have followed the regulations. The adjudicator determined the changes were fair. Specifically noting information about consultation and admissions was published on their website at the correct times. Read the admission objection decision document. Be aware of the requirements, and be sure to check that you've met them. Record the steps you've taken, what you've done and when you did it. 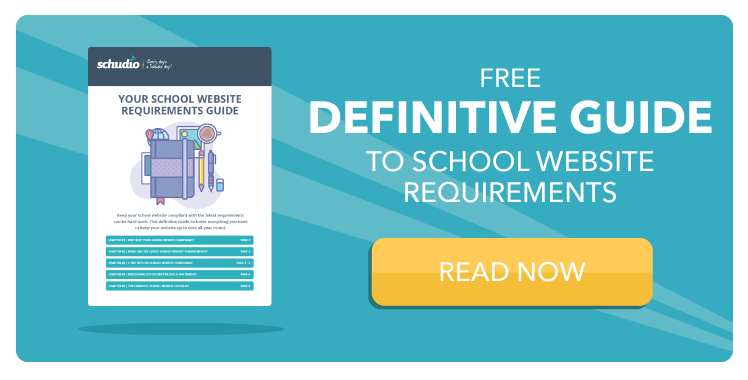 Keep up to date with your school website requirements with our definitive guide, and online audit tool. These both include any updates to school admissions regulations.